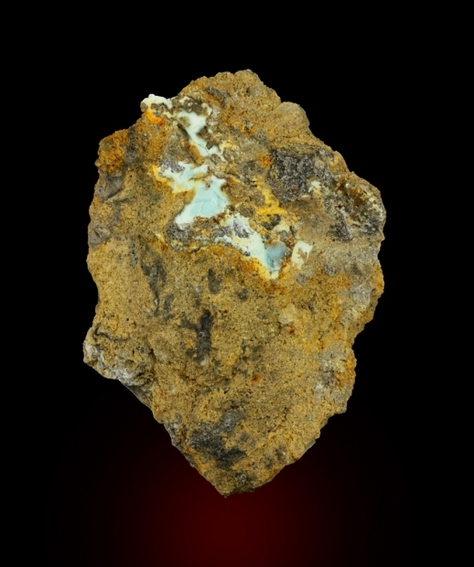 Viséite: Mineral information, data and localities. Named after its discovery locality, Visé near Liège, Belgium. Originally described from Visé, Liège Province, Belgium. 17.6.13 Steenstrupine-(Ce) Na14Mn2+2(Fe3+,Mn3+)2Ce6(Zr,Th)(Si6O18)2(PO4)6(HPO4)(OH)2 · 2H2O Trig. Mélon, J. (1942) La viséite, nouvelle espèce minérale. Annales de la Société Géologique de Belgique 66, B53-B56. (in French) [Abs. in American Mineralogist 30 (1945): 548]. American Mineralogist (1952): 37: 609-617. American Mineralogist (1978): 63: 796. Di Renzo, F. and Gabelica, Z. 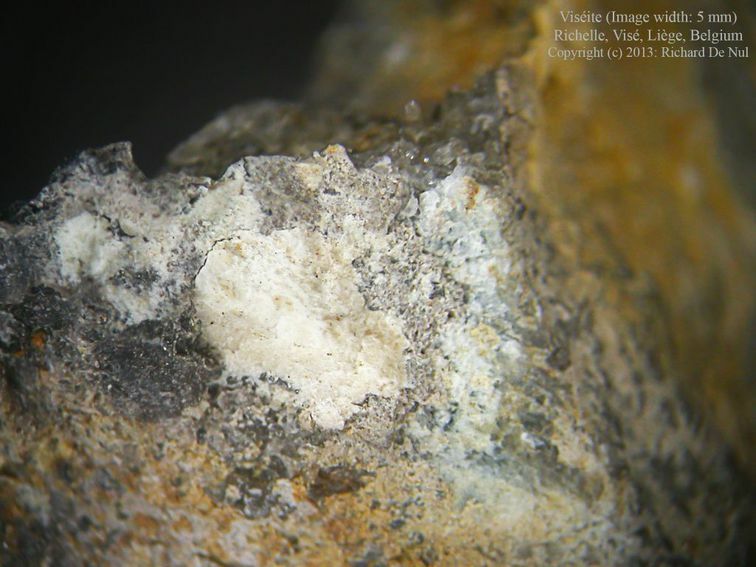 (1995): New data on the structure and composition of the silicoaluminophosphate viséite and a discreditation of its status as a zeolite. In D. W. Ming and F. A. Mumpton, Eds., International Committee on Natural Zeolites, Brockport, New York, 173-185. Kim, Y. and Kirkpatrick, R.J. (1996) Application of MAS NMR spectroscopy to poorly crystalline minerals: viséite. Mineralogical Magazine: 60: 957-962. Coombs, D. S. et al. (1997): "Recommended nomenclature for zeolite minerals: Report of the subcommittee on Zeolites of the IMA, CNMMN", Can. Min. 35,1571-1606 (1997), specifically p.1592. Arkhipchuk, R. Z. (1971): Gearksutite from the Manzhinsk deposit. Mineralogicheskii Sbornik (Lvov), 25, 181-184. 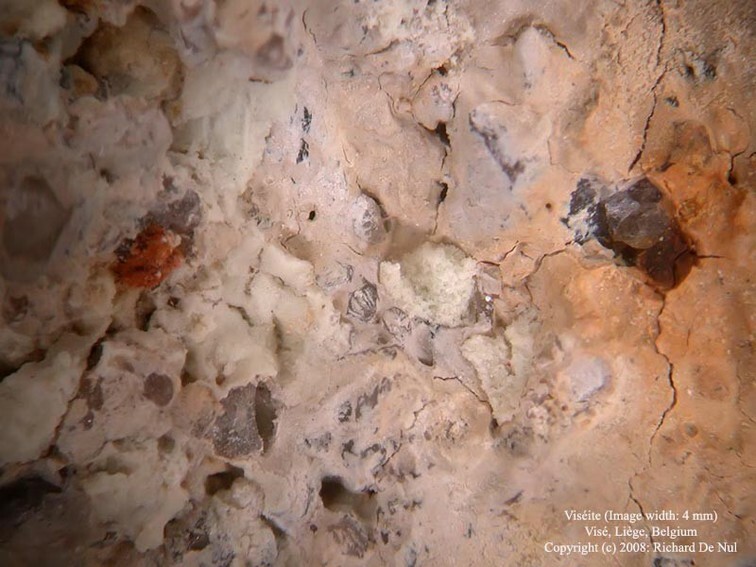 Wise, W. S. (1977): Mineralogy of the Champion mine White Mountains, California. Mineralogical Record: 8: 482, 484-485; Pemberton, H. Earl (1983), Minerals of California; Van Nostrand Reinholt Press: 310.